The Scrappin' Mama Studios: Tomorrow is the final day - ANNOUNCING - THE FRUGAL SCRAPBOOKER VIRTUAL ONLINE CLUB + BLOG CANDY! Tomorrow is the final day - ANNOUNCING - THE FRUGAL SCRAPBOOKER VIRTUAL ONLINE CLUB + BLOG CANDY! Confused, lost, frustrated, and lacking inspiration! Thinking you don’t have all the hours in the world to scrapbook! Let me show you how you can save time, supplies and money! Let me show you some inspiration! Let me show you how you can accomplish multiple pages in a small amount of time! · Get discounts on all my other online classes and tutorials. · Take what you learn and do it on your own time and in your own home. · It will start on October 20th and you will receive an email on the 20th of every month!! Testimonial – I just love Teresa's scrap layouts - I use them all the time for classes and my clients love it. 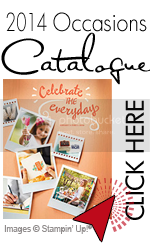 "they are very easy to interpret for any occasion to help complete a scrapbook." Here it is: I am giving away one 6 month subscription!!!! Click on the left link and sign up for my email updates for my blog! Leave a comment below this post telling me that you have done that & a comment and your email address on how this club could benefit you! It's just that simple! I will make the draw via random.org on lucky October 14! I will privately let the winner know via email that night and make the announcement on my blog October17th. Good luck! I have signed up for your newsletter. Thank you for the chance to win a 6 month subscription. 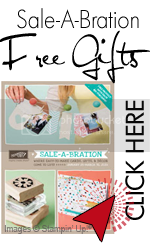 I have several customers who enjoy scrapbooking, but I struggle with it. So, I would use this subscription as inspiration to offer scrapbooking classes for them. I have signed up. Would love to learn how to scrapbook more effectively - I am never pleased with my efforts. I HAVE FOUND THE CURE!!! I'M A GUEST DESIGNER!!!! & BLOG CANDY AGAIN! THE FRUGAL SCRAPBOOKER ONLINE CLUB - SAMPLE!